On July 7th, 2017, the United Nations (UN), in a historic decision, approved a legally binding instrument to ban nuclear weapons, the Treaty on the Prohibition of Nuclear Weapons. Months of negotiations involving over 130 countries began in March of this year, culminating in a final draft endorsed by 122 countries. The treaty marks a significant milestone to help free the world of nuclear weapons. Previous global action to prevent the use of nuclear weapons has included the Partial Nuclear Test Ban Treaty (PTBT) of 1963, which curtailed nuclear testing but did not eliminate it. 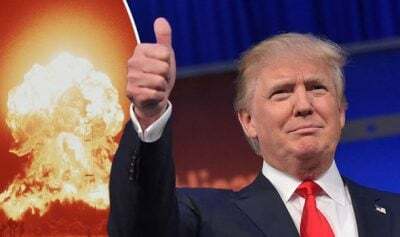 The Comprehensive Nuclear Test Ban Treaty (CTBT) of 1996 would have prohibited “any nuclear weapon test explosion or any other nuclear explosion.” However, despite signing the treaty, the U.S. and other nations, such as India, North Korea and Pakistan, never ratified it. The Nuclear Non-Proliferation Treaty (NPT) of 1968, which was signed by nearly all nations, including the U.S., mandated that all participants pursue nuclear disarmament “in good faith.” Despite the relative effectiveness of the NPT and the end the Cold War of reducing a sizeable portion of the global stockpile, an estimated fifteen thousand nuclear warheads are still held by nine nations. Two of these nations — the U.S. and Russia — possess over ninety percent of the total. The most significant threat to human survival and the biodiversity of our shared planet, apart from climate change, is a world in which nuclear weapons continue to exist. Yet, instead of negotiating in good faith to reduce and eventually eliminate its nuclear arsenal, the U.S. continues to develop new, more accurate, and more lethal nuclear weapons, while deploying “missile defenses” that make a nuclear first strike more possible and more likely. The ongoing U.S. wars in Afghanistan and the Middle East, particularly in Syria, along with the confrontational U.S. military posture toward Russia, China and North Korea, are creating conditions that could all too easily trigger a catastrophic nuclear war. Veterans For Peace remains committed to transforming U.S. nuclear, military and foreign policy from global dominance to global cooperation. This work includes convincing the U.S to recommit itself to the UN Charter which forbids military intervention and requires respect for the sovereignty of all nations. One of the founding principles of Veterans For Peace is a call to end to the arms race leading to the ultimate elimination of nuclear weapons. VFP’s Nuclear Abolition Campaign is a feature of this effort. Several notable manifestations of this campaign include a statement released last year calling for nuclear disarmament in our lifetime. Earlier this year, VFP endorsed the Restricting First Use of Nuclear Weapons Act of 2017, introduced by Sen. Markey (D-Mass.) and Rep. Lieu (D-Calif.). Support for the historic Golden Rule antinuclear sailboat, a national project of VFP, continues with the boat’s current voyage down the West Coast, which is dedicated to supporting the UN Treaty. VFP also participated in the Women’s March to Ban the Bomb, held last month in New York City and worldwide. The next hurdle, getting all remaining nations to sign and ratify the treaty. The treaty will be open for signature to all States on September 20th, 2017 at the UN General Assembly. It will go into effect within 90 days of ratification by 50 countries. Let this be the generation that will finally ban nuclear weapons. It’s not just about peace and justice; it’s about the survival of all life on earth. Brian Trautman and Gerry Condon serve on the Board of Directors of Veterans For Peace (VFP) and Samantha Ferguson is Program and Event Coordinator with VFP’s National Office. To learn more about VFP, visit https://www.veteransforpeace.org/.